Sam McKenna is about to be among the first young women to attend the all-male Denmark Military Academy, and her angry male peers hope to oust the girls before the first semester is over. Despite these odds, Sam is determined to make it: hers is a military family through and through, and before her brother Amos killed himself one year earlier, he dared Sam to attend the DMA, and she's determined to honor that wish. Thus begins a year of punishing military training, huge expectations, terrible living conditions, and nonstop emotional and physical abuse for Sam, with precious few allies. 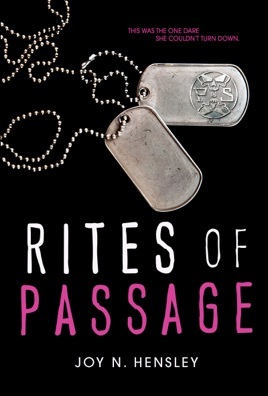 Debut novelist Hensley, a former cadet herself, writes with substantial knowledge of academy life, hazing, and the parameters of military rank and file. The first half of the novel is a fascinating portrait of young women breaking military barriers, though the story becomes overdramatic, with over-the-top villains, conspiracy theories, and a decades-old secret military society. This aside, Sam is easy to root for as a heroine, and it's a strong first showing for Hensley. Ages 13 up. Cute book. I hate the message. If you like happy endings and are a bit of a romantic this is not the book for you. Also the message is that the military comes before you loved ones and I disagree with this message. I believe the one's you love should come before your "military rank." This is just my opinion. This is by far my fave. Book! I even got to meet the author and she is as amazing as the book!!!!!! I really recommend the book, I have the hard copy and I can't wait to buy the book in my phone! Even though I've read it over and over again! Please read!!!!!!!! !